﻿ The Haemil Guesthouse, Seoul | FROM $42 - SAVE ON AGODA! "Staff is kind and helpful." Have a question for The Haemil Guesthouse? "Comfortable accommodation, good value for money , friendly and helpful staff"
"There is new addition to the breakfast room now, they hang beautiful traditional Korean woman hanbok and shoes on display." "Overall, it is still good value for money." "Owner is super helpful and friendly." 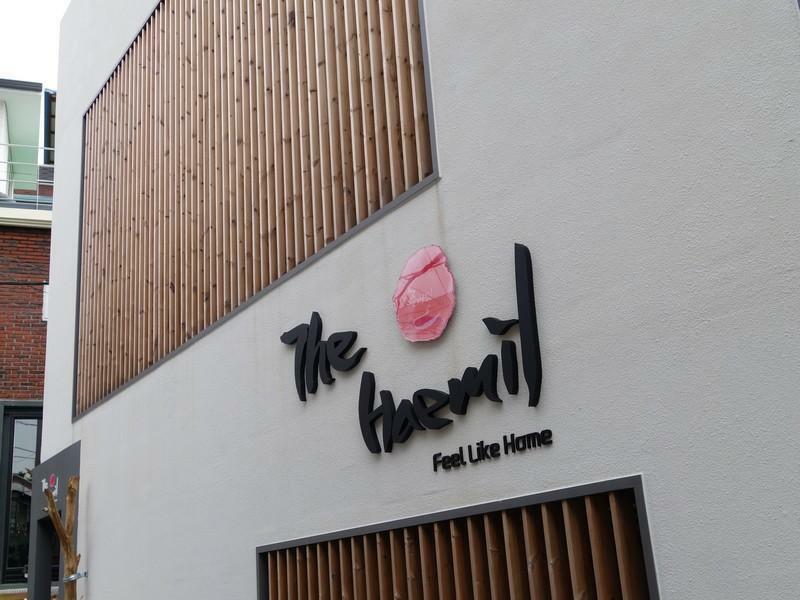 Built in 2014, The Haemil Guesthouse is a distinct addition to Seoul and a smart choice for travelers. Only 0.6km from the city center, the hotel's strategic location ensures that guests can quickly and easily reach many local points of interest. With its convenient location, the hotel offers easy access to the city's must-see destinations. Offering hotel guests superior services and a broad range of amenities, The Haemil Guesthouse is committed to ensuring that your stay is as comfortable as possible. Free Wi-Fi in all rooms, daily housekeeping, express check-in/check-out, luggage storage, Wi-Fi in public areas are just a few of the facilities that set The Haemil Guesthouse apart from other hotels in the city. The Haemil Guesthouse is home to 9 bedrooms. All are tastefully furnished and many even provide such comforts as television LCD/plasma screen, internet access – wireless, internet access – wireless (complimentary), non smoking rooms, air conditioning. The hotel offers an excellent variety of recreational facilities, including garden. 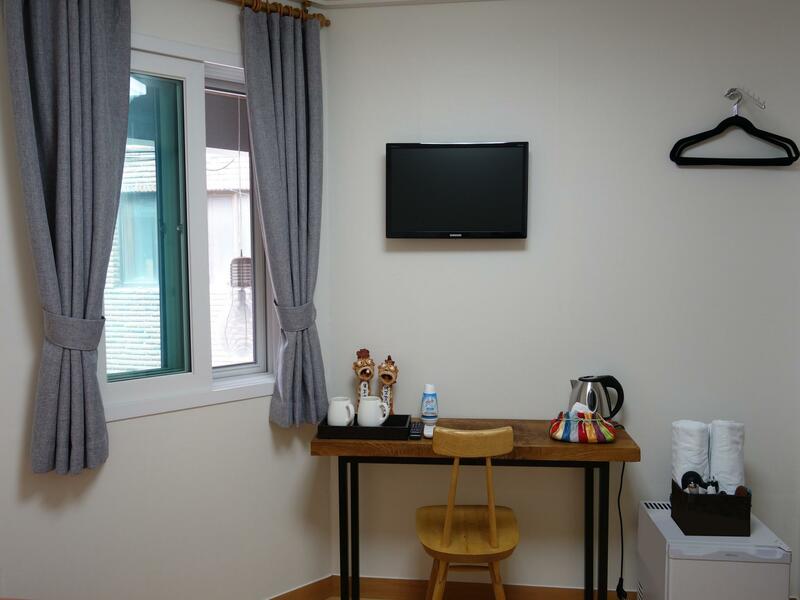 When you are looking for comfortable and convenient accommodations in Seoul, make The Haemil Guesthouse your home away from home. "Great little room near Hongdae." It's near Hongik Station so it's convenient with public transport. It is at a more quiet area to rest, in which I like. It has many cozy cafes, restaurants and shops around. The room is small but clean, the facilities are fine. The owner/manager Mr Kim is especially very friendly and helpful, and with a big smile! They also prepare simple breakfast for the guests. For the kind of price it charges in Seoul, I think it's pretty value for money. This is one of the nicest guesthouse that I've stayed in Asia as solo traveler. Owner is super helpful and friendly. Clean Room. Nice Environment. Breakfast is included but no luck to try:( Seeing other comments mentioning the breakfast is great. Good price. Good community around. Location a little bit far from metro station, around 7-10 minutes. Nice guesthouse owner, he was very nice to offer help to visitors. Free breakfast and clean room. Reasonable price in South Korea! Recommended! Facilities are fair enough, the owner was nice enough to help us girls carry our luggage to the rooftop room. However, the ceiling is so low that if you are taller than 165cm you will need to bow your head in your room all the time. Not sure about other rooms, maybe because we took the rooftop room. 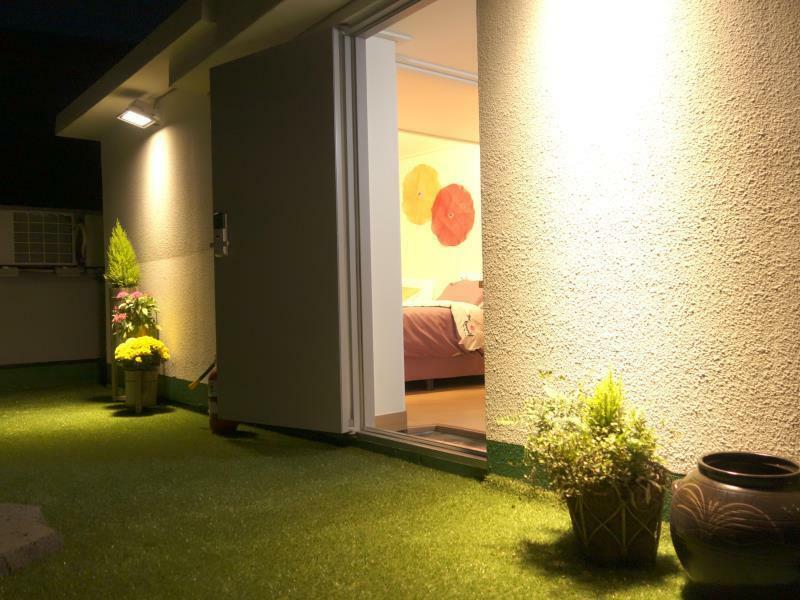 Great little room near Hongdae. Lots of little shops and eateries to explore around this place. Small room, but it's clean and has a comfy bed. I will say my room had the floor/hot water gas heater in a closet that provided heat to the whole floor. I'm sensitive to noise when I'm trying to sleep and when it started up it had a bit of a rattle that was kinda annoying. But most people probably wouldn't be bothered by it. And not every room has the heater closet. Feel like home is the slogan, and my home ain't this bad. A bit dusty in the room, the shower head is link with the sink tap, the water either too cold or too hot. The facilities is a bit run down. We are freezing after shower. No lift, so don't bring heavy luggage if wish to stay here. It's confused and hard to locate the guesthouse in the deep down alley. The heating system on floor took long time to heat up. Plus points are the staff is very helpful to carry our heavy luggage to the room. It's far from shopping area hence not noisy. The guesthouse located at hipster bar area. Everything has its pros and cons, this one definitely pros more than cons. Let's start with cons, as all guest houses will have similar feature, the facilities aren't as secured as Hotels. Second, the locations were close to the metro but It's not an obvious place you can find easily. Then here comes the pros, the owner is very nice, he helped us in ordering takeaway and everything, as you know it's really hard to do something if you don't speak Korean. Let's talk about the room, the room wasn't designed for luxury but it's abosolutely designed for people who would like to experience Morden Korean culture. The heater is very power that even under 0 degree the floor and the room is kept warm, but I suggest you should bring moisturiser as the room would be a bit try. No bathtub that doesnt bother me at all. And choosing guesthouse or hotel in Hongdae is really a wise decision as the location is very convenient to most tourist spots and local always pick-up at Hongdae. 1. Best service offered from Mr.Lee, he found me a box to pack my stuff despite he is not responsible for that, this is delightful! He also help me to carry my 20kg baguage to my room without tips! this is the excellent services. 2. Location not bad! bed is clean, tv alot channels, all ok! will certainly stay at this place again when i revisit Korea. This is my second time to stay in Haemil Gueshouse and the guesthouse owner could recall me, LOL ~~~ Still, this time we had very pleasant stay. 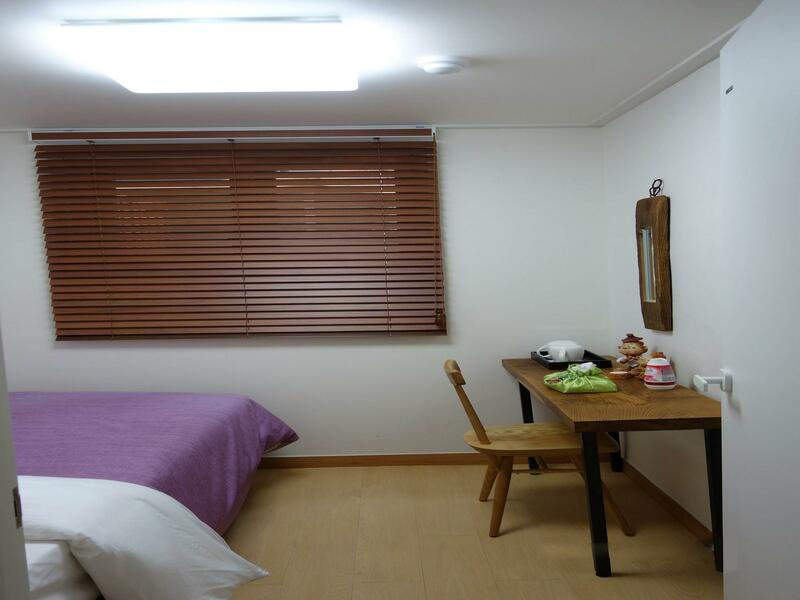 The guesthouse is clean and comfortable. Price for accommodation per night is very good and I bet you would agree this ! Breakfast is included yet simple, it is pretty much like something you usually have for breakfast at home. The guesthouse owner is a very friendly and helpful gentleman. He helped us to order food delivery, offered us to extend the check out time, etc. we very much appreciated his kindness and would like to come back again in our future visits to Seoul ! Nice Owner! Great Location! Clean & Comfortable!! The location is very good, very close to Hongik University Station Exit 3. The owner is very nice and helpful. 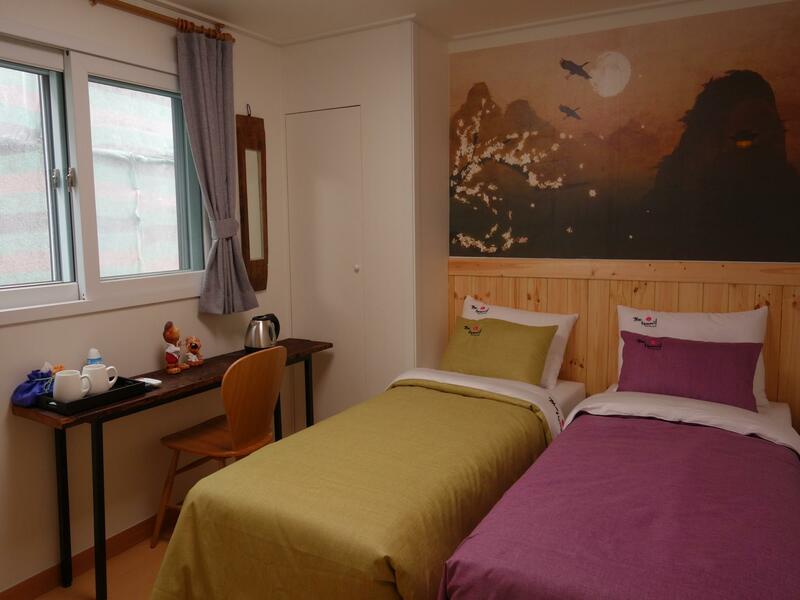 The room is big, tidy and very very clean, we feel very comfortable, really worth for it. We must back when we come to Seoul again! Clean and comfy room. Friendly and nice people - Mr Lee. Few days before our arrival, the owner, Mr Lee has sent us a clear step-to-step(with photo) guide on how to get to the guesthouse. And it's really useful! The guesthouse will prepare us homemade breakfast and it's different almost everyday. The best place that I've stayed and will be coming back for my next trip!! Jae Wook is really friendly and always accomadating even during late hours. He's knowledge for transport is awesome. Just check with him whenever you have enquiries. Before my departure, he sent me directions again in how to get to the guesthouse. Really amazing stay. Haemil Guesthouse is walking distance to Hongik station. Few days before our arrival, the owner, Mr Lee has sent us a clear step-to-step(with photo) guide on how to get to the guesthouse. And it's really useful! Each morning, the guesthouse will prepare us some healthy and delicious breakfast, it's like home cook breakfast, and it's different almost everyday. The room is not big enough but it's just nice for 2 pax. All basic facilities are available (e.g. Hair dryer, TV, heater on floor, air-cond, traveller adapter, hot shower) This was the first time we travelled to Korea. Whenever we need help and suggestion on the place to visit, food to eat, the owner Mr. lee is able to give some really nice and useful guidance and suggestion. Besides, I must say the owner is helpful enough. I realized I left an bracelet in the hotel after leaving Korea. The owner reply is prompted and help me ship to my country. There's nothing more to complain about and I really feel like home staying with Haemil. Haemil Guesthouse was very comfortable especially you have a tiring trip, they provide good quality of mattress and pillow. It has the home feeling where the owners will greet you personally and guide you during your trip. Their home cooked breakfast were very yummy and delicious. The only drawback is the distance to subway, even though is walking distance, but you will feel far after full day of walking in seoul city. Overall, we enjoyed a lot during our stayed there.